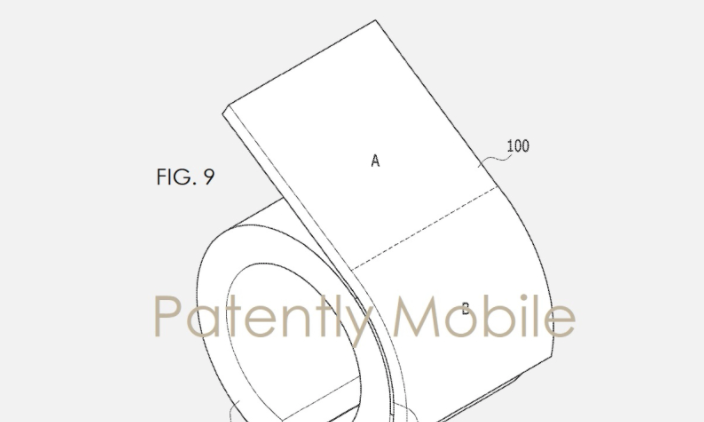 Samsung has received approval for a patent from the US Patent and Trademark Office for what appears to be some sort of smart bracelet that’s equipped with a flexible display, which can not only take the shape of the bracelet, but can also be stiffened into an upright position (outlined below). In addition, according to details uncovered by Patently Mobile, the display can be rotated horizontally to view material that’s wider than it is tall, though the exactly when you’d need to use that feature remains unknown. Unless, of course, the unit acts as a standalone smartphone. 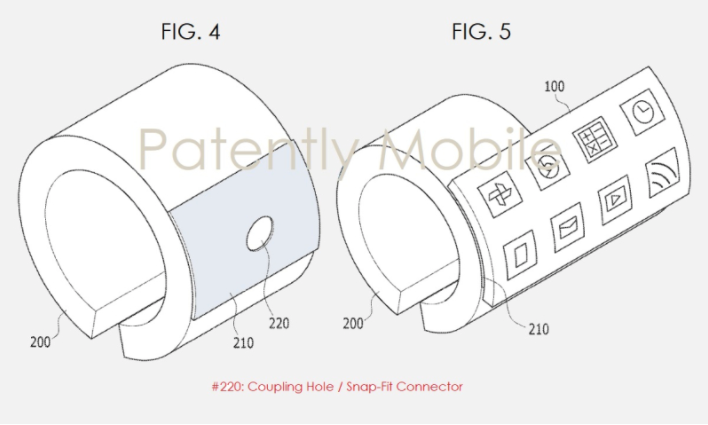 It’s worth noting that Samsung applies for patents on an almost daily basis—this specific one was originally filed in the United States in August, 2015—and only a handful of them ever make their way onto the market, so best not to get your hopes up about the firm’s smart bracelet.